Wirehouse UBS has been recognized as one of the top innovators in the world, among a diverse group that includes entities such as Chowbotics’ Sally the Robot, the Dow Coating Material Research Division, IBM Cognos Analytics and The New Purple® Mattress, according to the Business Intelligence Group, the industry organization that administered the awards. “UBS Wealth Management USA New Client Digital Experience” is one of the 74 companies, products and executives who Business Intelligence says “are bringing new ideas to life,” according to a study by the group. “Innovation and the use of technology to advance commerce and improve lives is permeating nearly every organization across the globe,” Maria Jimenez, chief operating officer of the Business Intelligence Group, says in the press release. The BIG Innovation Awards, as they’re called, are judged by “recognizable leaders” selected by the company’s advisory panel and employees, rather than “editors or writers with limited business experience,” the company says on its website. 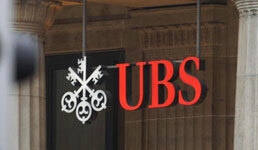 UBS has indeed made several technology-related partnerships over the past year. In April, the firm launched a robo-advisor for U.S. clients, which it had developed with the wealth management tech firm SigFig. In December, UBS executives said the company would soon unveil more information about its planned 10-year cost-sharing agreement signed with fintech firm Broadridge Financial Solutions, as reported. Part of the partnership will include an overhaul of the wirehouse’s technology, executives at both firms told FA-IQ in December. And last month, UBS announced it’s one of a group of investment managers which plans to roll out their own equities exchange. The other firms in the partnership include Merrill Lynch and Morgan Stanley, as well as Charles Schwab, E*Trade, Fidelity Investments and more.